Pumpkin fever is not just for lattes, cookies and other treats for the two-legged family members. Nope, pumpkin is in season and it's time to make some yummy pumpkin dog treat recipes. If you make only one pumpkin dog treat, make this one! 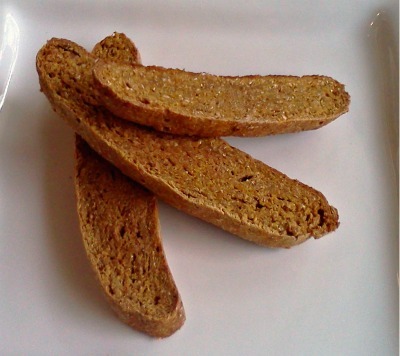 Pumpkin Biscotti is always a huge hit. It is baked twice so it is nice and crunchy for those dogs that love a good chew. If you have a gentle nibbler you can always dunk these in water to soften them up a bit. If your dog has never tasted pumpkin before, and you're not sure she'll like it, you need to make my next recipe. 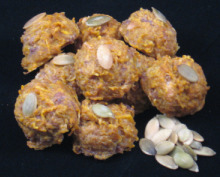 Crunchy Pumpkin and Sausage Bites are perfect for those dogs that prefer a savory treat. Make them crunchy by adding pepitas to the top of each tasty bite. 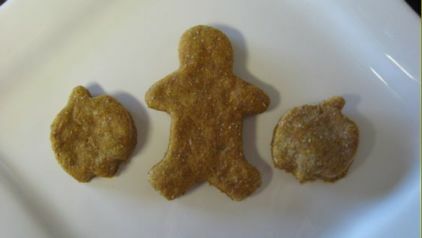 These dog biscuits can be made with any shape cookie cutter you have. Please don't use pumpkin pie spice mix as it contains nutmeg and this isn't safe for our dogs. Do you have a "sweet tooth dog" waiting for his daily treat? Then the fourth recipe will need to be made as soon as possible. 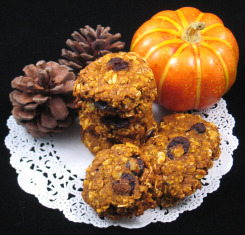 My Pumpkin & Carob Dog Cookies are sure to hit the spot of any sweets loving pup. 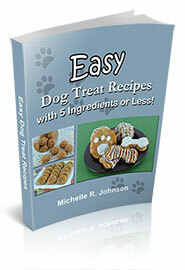 It's one of the only dog treat recipes that include sugar. But at only a 1/4 cup for 4 dozen cookies, that's not too much per cookie. Fifth on the pumpkin list is a website favorite. My Pumpkin & Peanut Butter Dog Treats have been satisfying dogs for years. With only 6 ingredients, one of which is optional (the cinnamon), you'll be able to keep these biscuits on hand whenever your dog is deserving of a homemade treat. 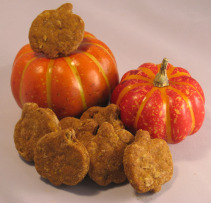 Last but not least, is our sixth pumpkin dog treat to make. The adorable Pumpkin Donuts Dog Treats. Please don't let the shape deter you. 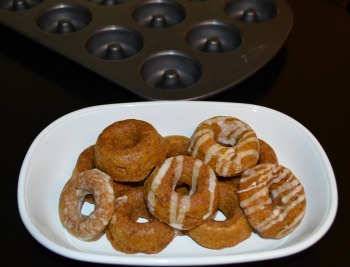 If you don't have a mini doughnut pan, this batter can be put into a mini muffin tin instead. However they are shaped, make this dog treat recipe for your dog, she'll thank you for it.